The conscious mind is not a singularity—it is a complex of functions and forces which ebb and flow within each other, and their movement creates thoughts and impressions that we believe to be our individual consciousness. Consciousness, by the very context of the word denotes a fullness, a purity, conveyed through faculties of awakened perception. Our conscious mind, however, is not pure consciousness. The conscious mind (as an embryonic condition of universal Mind), is encapsulated by archetypal barriers which form a construct created for the purpose of filtering out all other levels of existence except that which is experienced and accepted as consensus reality. We are not necessarily pre-coded for any particular reality, but the state of consciousness we are born into determines the faculties of perception normally available to us, and the environment in which we find ourselves conditions us to accept a version of reality that concretizes our senses to that state. That state, and the common experience of it become the accepted notions of ‘normal’ and ‘healthy’ because they are the status quo. Experiences outside this accepted narrow band of existence are deemed to be potential forms of psychosis, further marginalizing those who experience them, from a societal viewpoint. Many who experience these alternative realities do so without a proper understanding of what is happening, and it is the lack of understanding that drives them past the point of being able to function in society more often than the actual experiences themselves. As a society we have lost connection to the idea of gnosis. Regardless, when someone is nearing readiness to have an experience of expanded awareness, evolution sees to it that it begins to unfold. This is an alchemical mechanistic process that operates outside the bounds of what is ‘normal’ and can often seem to be something happening upon someone rather than the occurrence of an evolutionary function beginning to unfold. If one accepts the idea that this evolution can and does occur, it is often still perceived as an affliction or punishment from an externalized, personified force usually considered to be some aspect of divinity. People have been conditioned to believe higher powers should rescue them (which is completely ironic when one really understands the dynamic itself) from this process, but fail to realize the struggle to get through the experience is what gives them the gift of the potential to reach the next level of evolution. If it were just done for them, were that even possible, they would not have that which can only be created by the process itself. Anyone who raises butterflies can tell you what happens if one assists in the process of a butterfly breaking out of the pupusa as it struggles to gain freedom… it is too weak to survive: The muscles needed to fly do not fully develop unless it goes through the struggle to free itself unassisted. That is the perfect wisdom of Nature. We, as humans, are no different in our need to evolve unassisted to a certain degree. Although certain forces align to act upon us to achieve that evolution, it is we who must attain the proper Understanding which brings that alignment about in order to undergo transformation from human to suprahuman. Evolutionary powers unfold according to the mechanics of alchemical laws when the proper conditions are achieved. Then, and only then… and not a moment sooner. Nature is a locked gate that requires a key: Discovering the inner mechanics of Nature through practical alchemy leads Seekers to a very different understanding of themselves and reality. It is from within this newly forged paradigm that evolutionary paths reveal themselves. This transformation is not just figurative, it is not metaphorical. Nor is it ambiguous in any way. Once proper understanding is attained through initiatory teaching, what is left is the Great Work. It has been called this for aeons because it is the greatest achievement a human being can attain, and the only direct path to Eternity itself. It is also a lot of actual WORK. It is not called the ‘Great Work’ without good reason. Attempting to embark on the Great Work without proper alchemical understanding will not yield the secrets of Nature. Paradoxically, she is designed to conceal her Mysteries from all except those who already have direct experience of exactly what they seek. Yet, while Nature conceals herself, she will reveal secrets in a somewhat sequential manner if Seekers are humble enough to start at the beginning as if they know nothing and do real work to Understand and gain direct experience for themselves. Both Initiatory Seership and practical alchemy work to facilitate the conscious unfolding of this evolutionary process. 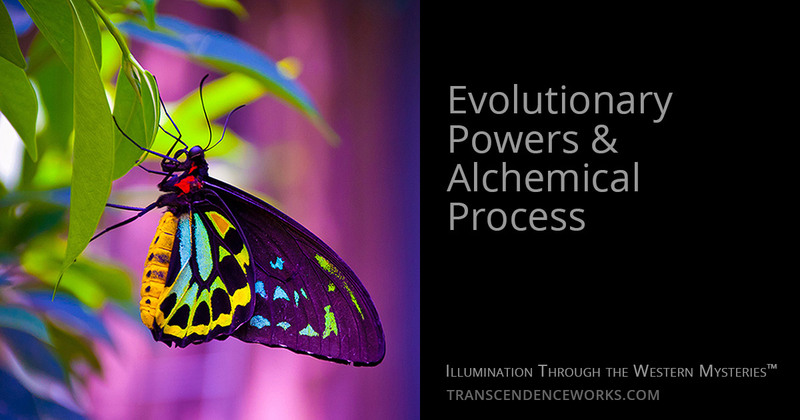 Though outwardly they are very different practices, they both function through inner alchemical processes and lead to progressive levels of illumination. Initiatory Seership is a deeply evolutionary practice that not only opens spiritual vision and facilitates reaching deeper levels of illumination, but it is one of the most practical paths within the Western Mysteries… though one of the least understood. The beginning stage in practical alchemy is specific alchemical work within the plant kingdom. The work itself reveals Nature’s functions on one level that allows insights into the work on other levels… as well as the quintessences created during the work which act in powerful ways to open channels of magical understanding and consciousness that facilitate spiritual evolution in direct, irrefutable gnosis. Seekers interested in the initiatory Western Mystery paths of seership and/or practical alchemy may wish to explore private training options as they are available.